Fifteen former University of Miami Hurricanes gathered on the Greentree Practice Fields one last time to show off their skills in the annual Pro Day. 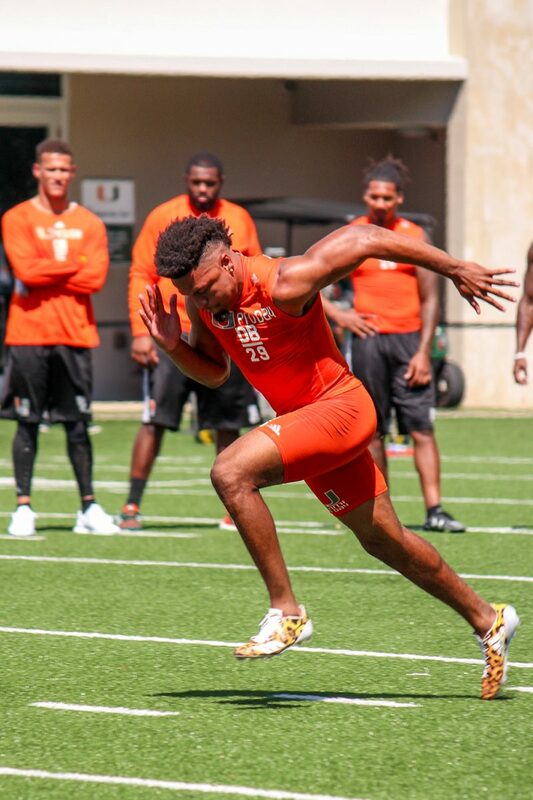 Quarterback Brad Kaaya, tight end David Njoku, wide receiver Stacy Coley and defensive back Corn Elder highlighted the list of draft-eligible UM prospects, each taking part in different sets of drills to try to impress NFL scouts. On a sunny afternoon, coaches and scouts from all 32 NFL teams – as well as the Winnipeg Blue Bombers from the CFL – congregated around the sidelines to watch the UM talent going into this year’s draft, which is less than a month away. Among the coaches, one caught everyone’s eye. Five-time Super Bowl champion and New England Patriots Coach Bill Belichick arrived in unusually casual attire, sporting a black collared-shirt, blue cargo-shorts, sandals and a cap. He spent some time talking to Miami Assistant Coach Craig Kuligowski and watching the former Hurricanes go to work. Kaaya completed passes from multiple sets at the 50-yard line, getting a chance to put his arm on display while throwing to an array of former teammates, including Njoku and Coley. He then put in work from the red zone, finding teammates from 20 yards out. “Teams will be getting a guy that really understands football, who has the confidence to be able to function in their system, a guy with leadership and charisma,” Miami Coach Mark Richt said of Kaaya. Njoku, Coley and Elder impressed with their unofficial 40-yard dash times. All three competed in shuttle and three-cone drills as well. Jermaine Grace and Al-Quadin Muhammad, former Hurricanes who were dismissed before last season because of rule violations, also participated. A few current Miami players made their way to the field to watch and encourage their former teammates. 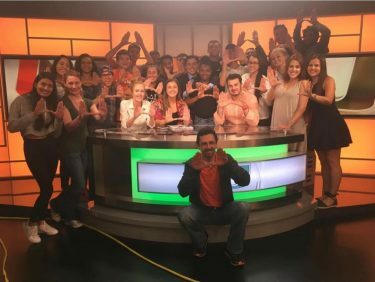 Former UM athletes and current NFL players Lamar Miller, Artie Burns, Deon Bush, Travis Benjamin and Duke Johnson were all in attendance. Miami’s Pro Day participants, including Elder, said they are feeling good about their performances and are looking forward to what the future holds after the draft, which is set to take place from April 27-29.